After receiving almost 1,500 votes, we are pleased to announce the winner of the #SetThemFree song contest. The winning song is “Barricades of Hate #SetThemFree”, produced by The Solution Is You Inc in Trinidad and Tobago. Represent the #SetThemFree Campaign at the 2016 CIVICUS World Assembly in Colombia. All costs will be covered. 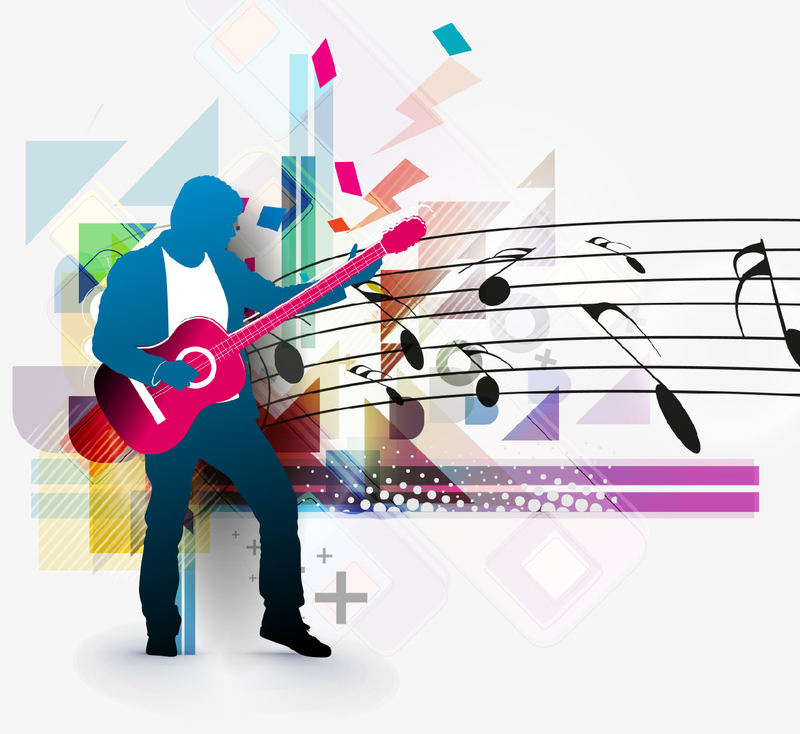 Lead a public engagement event promoting the winning song and message. The event will be planned in partnership with the World Movement for Democracy. Promote their song and the #SetThemFree Campaign on social media. By November 3rd, cast your vote in the #SetThemFree song contest here! 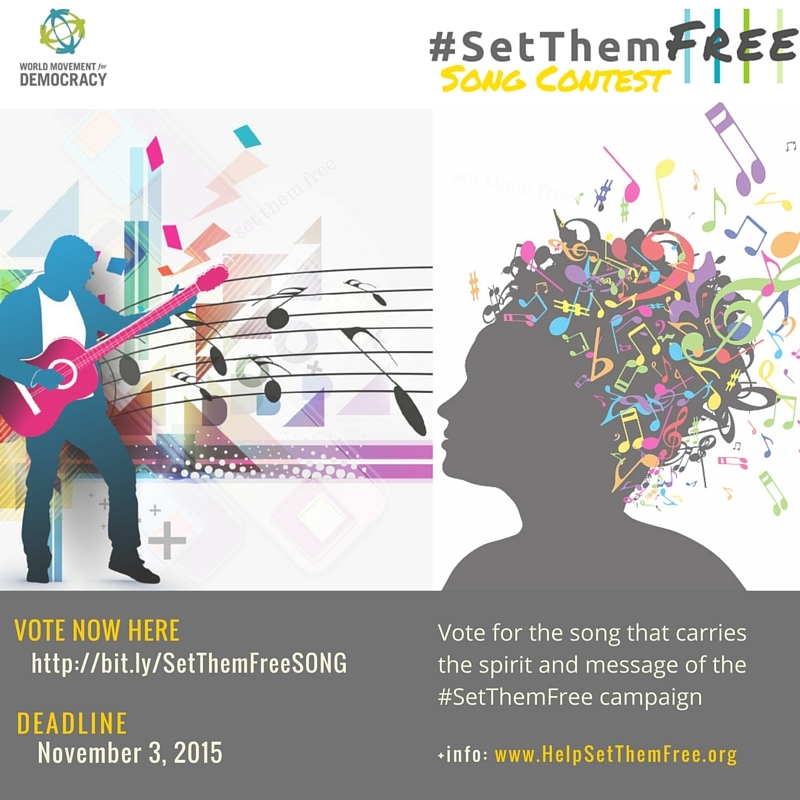 Vote for the song that carries the spirit and message of the #SetThemFree campaign. Through the campaign, the World Movement for Democracy builds international solidarity with political prisoners, mobilizes the global public to take actions on their behalf, and engages with various stakeholders to achieve their release. 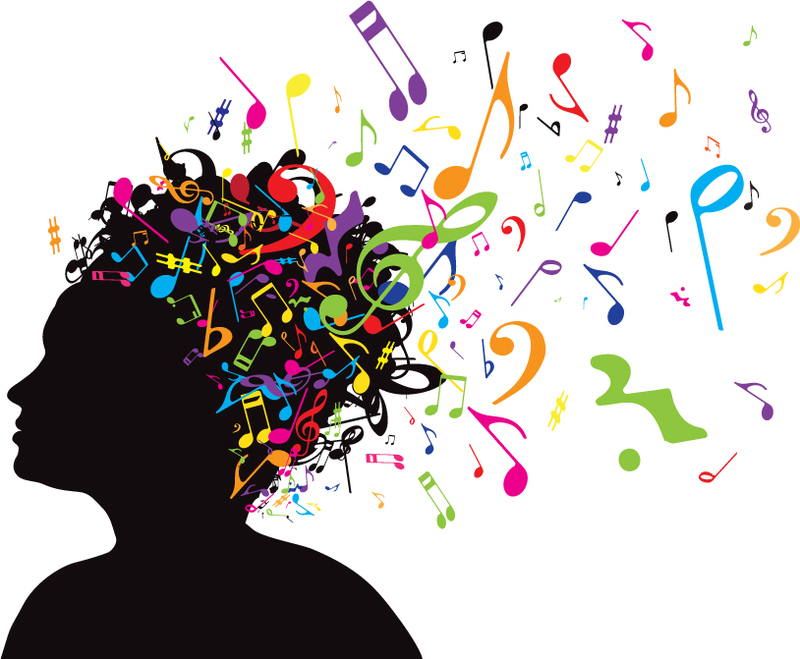 The top 5 finalists will have their songs featured on the #SetThemFree and World Movement for Democracy websites. The winner will be named the “#SetThemFree Ambassador” for one year and will represent the #SetThemFree Campaign at the 2016 CIVICUS World Assembly in Bogota, Colombia. Every day, governments introduce restrictive laws and policies that shrink civic space and limit people’s ability to live free and meaningful lives. In many countries around the world, countless men and women are unjustly imprisoned for defending and promoting fundamental freedoms and equality for all. #SetThemFree is a global campaign to build solidarity with those behind bars. Pakistani musician, Taimur Rahman, and Kenyan musician, Dan Aceda, teamed up to create a song in support of prisoners of conscience. Check out Dan and Taimur’s song below. The World Movement for Democracy invites you to participate in the Set Them Free Campaign by lending your voice to create a new song using themes from the #SetThemFree Campaign: global solidarity, collective action, protest, public awareness, hope, etc. WINNING ENTRIES: The top 5 finalists will have their songs featured on the Set Them Free and World Movement for Democracy websites. The winner from among the top 5 semi-finalists will be named the ‘Set Them Free Ambassador’ for one year, and represent the #SetThemFree Campaign at the 2016 CIVICUS World Assembly in Bogota, Colombia. HOW TO ENTER: To enter, upload your song to YouTube and send the link to setthemfree@ned.org. Please include the following in the YouTube description as well as in the text of the email: your name, your age, your Country, the title of your song, and the name of your band (if applicable). In the body of the email, in 200 words or less, please explain why you are entering the #SetThemFree Song Contest. All entries must be received by 11:59 p.m. E.D.T. on October 11th, 2015. Entries received after that date will not be considered. You can enter the contest as an individual or as a band. All entrants must be 18 years or older at time of entry. Individuals and bands shall collectively be known as “Entrants.” If a band entry is selected as a winner, only one individual from the band will be chosen to attend the CIVICUS World Assembly. * In submitting your Song to ‘the Set Them Free Song Contest’ (‘the Contest’) the Material and any part thereof may be used by the Set Them Free Campaign and World Movement for Democracy to administer the Competition and select winning entrants. In addition, the Material and any part thereof may be used: (i) by the Set them Free Campaign and World Movement for Democracy for all and any promotional purposes and/or (ii) by The Set Them Free Campaign and World Movement for Democracy or a third party appointed by the Set Them Free Campaign and World Movement for Democracy as a video that may be published publically worldwide; and/or (iii) for other purposes related to the promotion of the Competition and/or the promotion of such products or purposes, including but not limited to online publishing, without payment to you. Include third parties, including but not limited to minors, celebrities and friends who have not expressly authorized Entrants to display their image, likeness or voice in any submitted video or otherwise use such image, likeness or voice in accordance with these rules. Voting for the finalist from among the semi-finalists will be open to the public from October 22nd until November 3rd, 2015. The link to the voting platform will be posted on the Set Them Free Website.